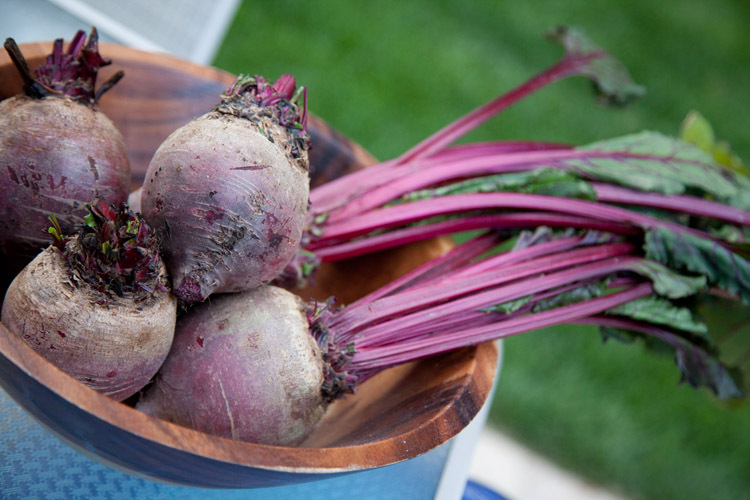 Roasted beets are the perfect accompaniment to salads or even as an appetizer with a good goat cheese or soup. Roasting them seems to enhance their sweet nature. Roasting is the easiest way to cook beets. The skins will slip right off after cooking. I like to roast a whole bunch of them at once, and then I have them in the fridge to do whatever with throughout the week. Preheat the oven to 400 degrees. To start, scrub or peel the beets. 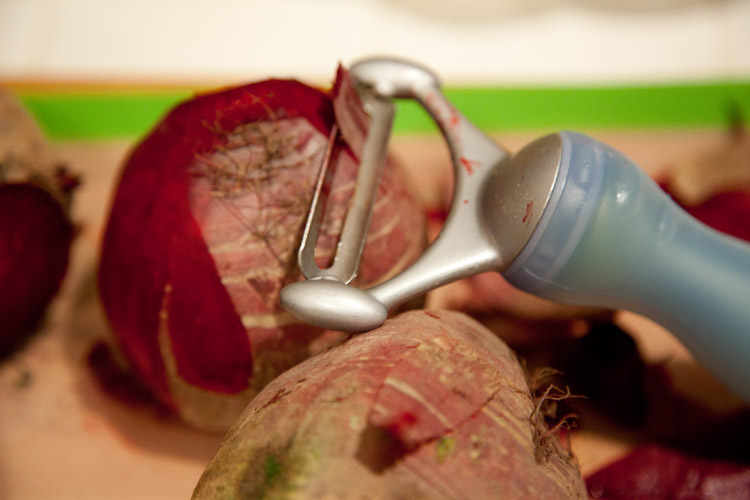 I like to peel beets before they go to the oven, but you don’t have to worry about peeling before roasting the beets, that is easier process once they have done. Prepare a baking sheet by lining with a layer of aluminum foil. Place the beets and drizzle some olive oil over each beet; season with salt and pepper. 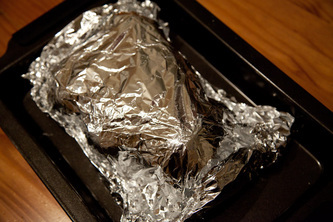 Cover them with another piece of foil, sealing the edges. 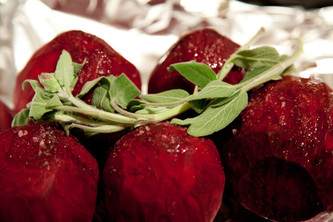 Roast beets until tender when pierced with a knife, about 1 to 1 1/2 hours. Remove from the oven and let cool.